Want To Be Bulletproof In Any Audition Room ... No Matter Who Is In There Or How “Important” They Are ? Does your unsupportive mind-chatter get in your way in auditions? …Which, in turn, keeps you from being present and giving the great audition you planned to give. Instead, you either completely tank or do an “eh” job. And you continue feeling worse and worse, all the while hoping and praying that you didn’t ruin your chances of ever getting called in again. It doesn’t matter if you’re Oscar-winning brilliant when you’re rehearsing at home or with your coach. The truth is, this downward spiral actually doesn’t begin AT your audition, it usually begins much earlier in your day. When you wake up on the morning of your audition and start your day on the wrong foot with the seeds of that mind-chatter firmly in place, it’s hard to ever get into the right mind space of quiet, focused, relaxed confidence that you need to be in before you walk into your audition. Unfortunately, many talented actors fall victim to this “snowball effect”. Rather than waking up and being in a deep, relaxed state of joyful knowing about the amazing day of opportunity ahead, you start your audition day on a foundation of nerves and fear. Which is the complete OPPOSITE of the relaxed confidence you NEED to book the job. It’s what I saw over and over and over again in my years of experience in the audition room, holding countless casting sessions when I was Vice President of Casting at HBO for 14 years. If you accidentally telegraph insecurity and doubt, not only will the Casting Director doubt you, so will the Producers, Directors and Network & Studio Execs. They will make a snap judgment about your ability to do the job on set and deal with a quick production schedule or a fast-paced publicity campaign if your nerves are an issue. Now Do You See Why You Must End This Vicious Cycle Once & For All, So You Can Be Relaxed & Confident In Your Auditions? You probably didn’t know how to end this cycle AND you probably didn’t know that it could actually be easy. With the right secret weapon in your back pocket, that is. 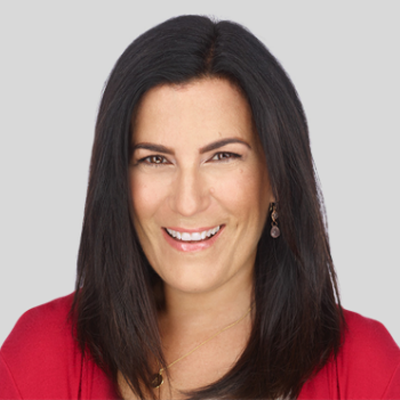 I coach and train hundreds of actors across the globe, and I knew that after all those years of watching gifted, talented actors tank in the audition room that I had to come up with a solution. I found the 4 biggest trigger points that every actor has within this vicious cycle. And I worked with my private coaching clients during those 4 trigger moments and showed them how to stop the cycle of doubt, judgment and pain in their tracks. Not only that, but I showed them how to change their state of mind during those trigger moments to a state of relaxed, ease and confidence. This worked so well that I recorded it all onto 4 audios so that any actor who is passionate about nailing their auditions (like you) can use them to simply and easily change your state of mind on the morning of your audition, right before your audition and even right after your audition too. “The Ride Home - Nailed It!” This audio is designed to be listened to after your audition, when you know you were totally in the zone and nailed your audition. 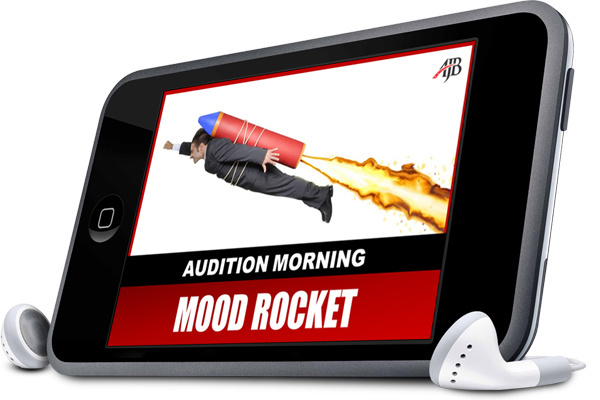 Listening to this audio will solidfy those feelings and multiply them exponentially allowing you to feel and be UNSTOPPABLE, creating a cycle of ease and confidence for future auditions. Personally, I wouldn’t recommend you attempt to end this vicious cycle on your own, without having an easy guided audio to follow…especially if you’ve already tried and failed and lost out on a role that you should have gotten. As someone who has held countless casting sessions, audition coaching sessions and trainings on the mindset of a successful, booking actor, I’ve already done all the hard work and figured out what works (and what doesn’t). That’s why I was so careful to document WHAT WORKS and record them on audios that every actor can download and listen to. Normally, this audio 4-pack sells for $79, but for a very limited time you’re getting instant access to download all 4 of them for only $39.50. To make your decision easy, I'm going to remove all risk! I want to guarantee you take advantage of this offer today, and feel good about it. You're protected by my 30-day money-back guarantee. If for any reason at all you're not completely satisfied, email my team and we will give you a complete refund. I don't think you'll need to use it, but it's there just in case. 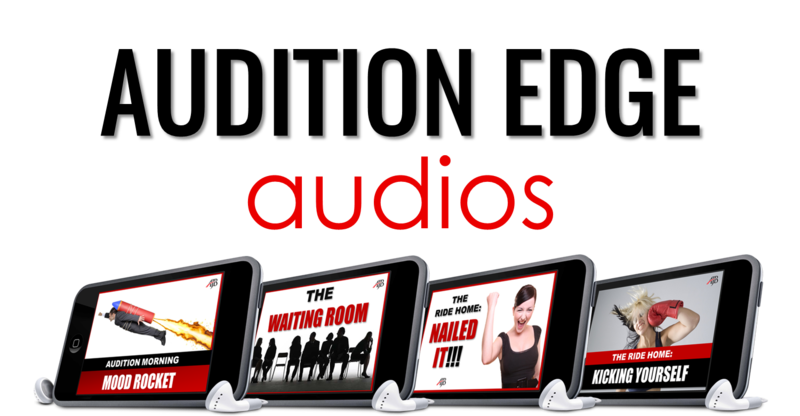 And now they are relaxed and confident before, during and after their auditions, just like you'll be after you grab these powerful audios. Q. Do I Listen To The Audios Online Or Can I Download Them? A. The audios are all downloadable MP3 files. 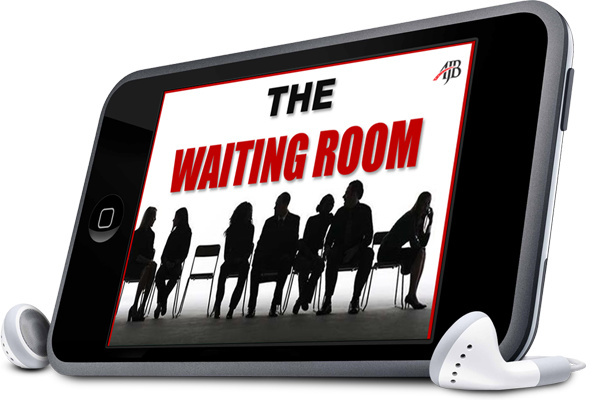 As soon as you complete your order, you get instant access to our private membership area where you can instantly download your audios. A. Yep…all my trainings & products have a 30-day, no-questions-asked guarantee. Q. How Long Will It Take To Get Access To My Audios? Your login and access information will be sent to the email address you provide, and it explains how you can access your audios inside of our private members area. A. 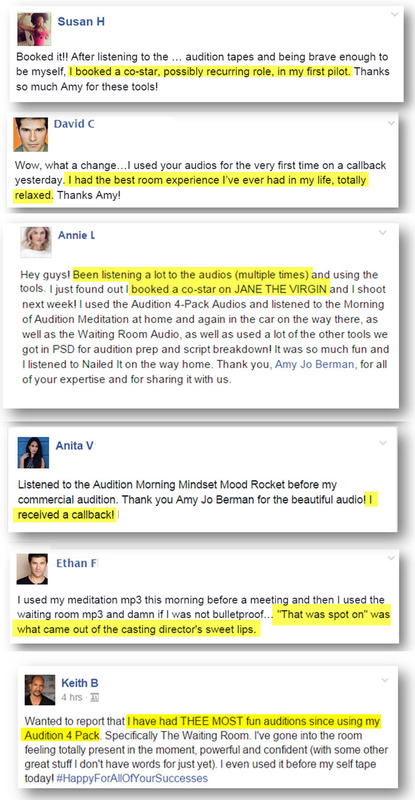 These audios have worked for hundreds of actors. The actors who get the best results use them consistently. So, if you want to get great results, I recommend you do the same! 2. It weeds out the hobbyists. I only want serious actors who are either working already or who want to do what it takes to become a professional working actor. Professionals know that you must invest in yourself if you want to succeed…even if it’s just $39. I also believe that once you experience this class, you’ll want more and maybe…just maybe…you’ll come back for more training and possibly even upgrade to the “Audition Fast Fix” or “Audition Rockstar” training program or maybe even one of the other comprehensive programs I’ve created to help actors succeed on subjects like mindset, auditioning, technique and marketing that I offer to my private subscribers and website visitors. 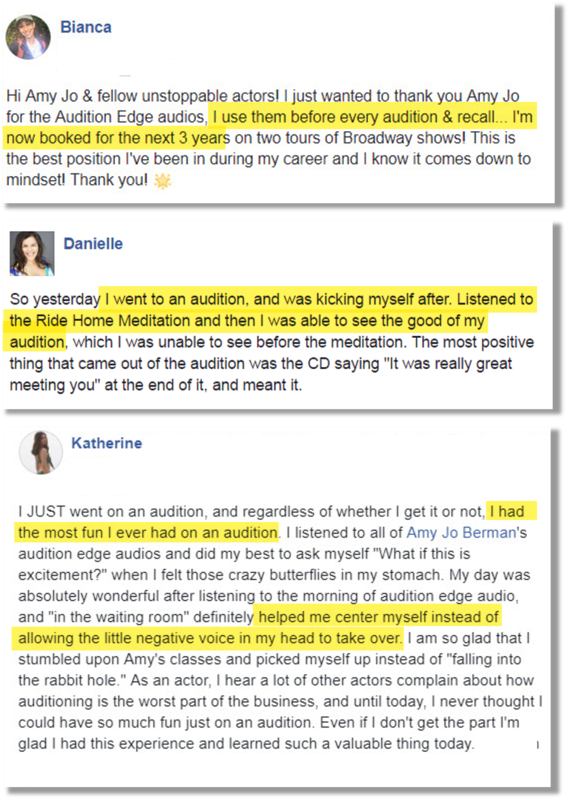 I'm excited to share these powerful audios with you so you can begin the shift which will allow you to feel relaxed and confident when you walk into any audition and be fully present and focused in your audition. Hurry… Get The “Audition Edge 'Badass" Audio 4-Pack" Now!! …all for just $79 $39.50. Click the “Get Started Now” button now for INSTANT ACCESS! WARNING! When the timer above hits 0 this offer will return to its original price. Order now and save 50%!! !